I feel almost silly calling this a DIY, it's so easy. But I love the way it turned out, and if you're a fan of nail polish—particularly the very sparkly kind—you might love it too. I was in Walgreens the other day perusing the seasonal offerings and ran across a tiny bottle of holographic glitter in the Halloween section. Really holographic. I was enthralled. I also found myself wondering what I could use it for (other than its actual uses of getting all over everything in a very pretty way). 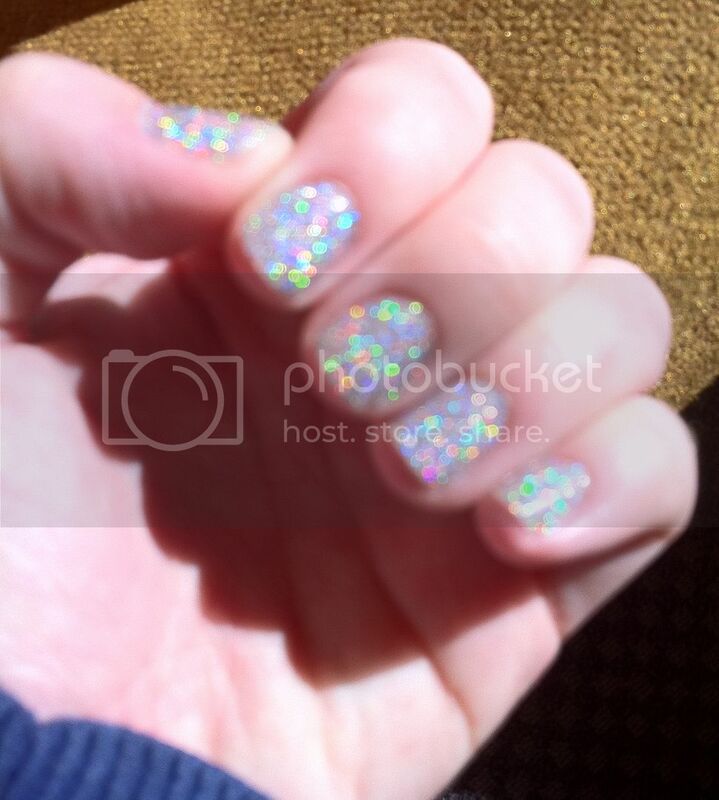 I've been looking for a good holographic nail polish for a while now. 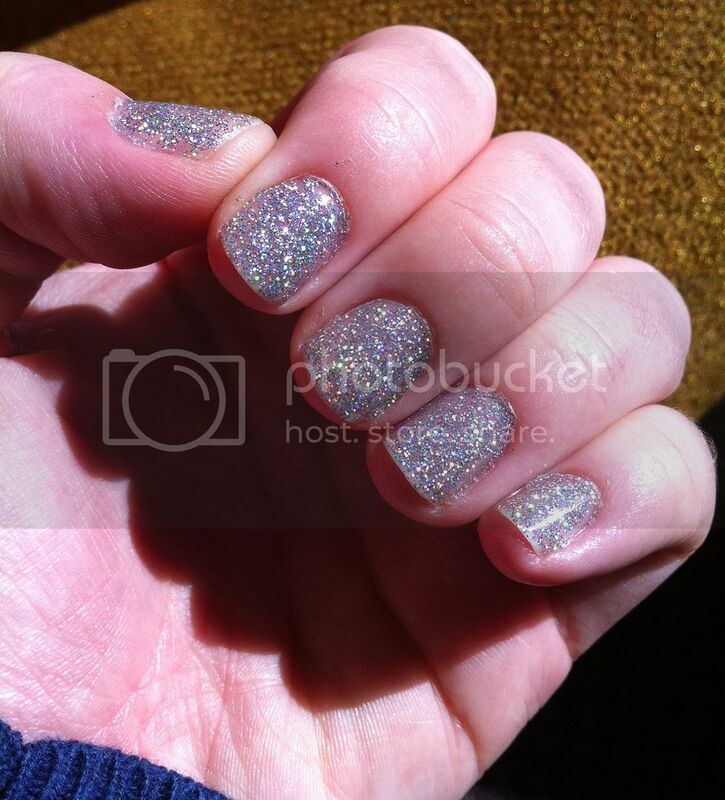 My great white whale happens to be China Glaze's OMG, but as a discontinued color, it's hard to find. 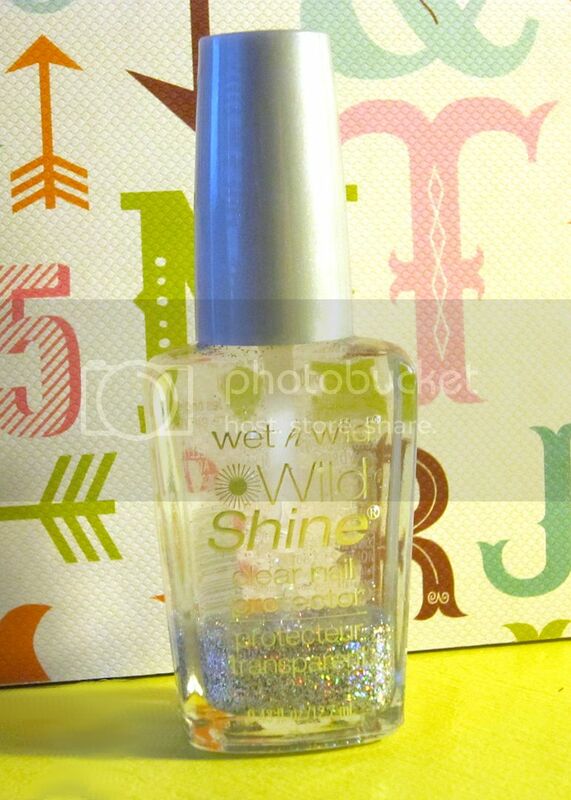 A really pretty holo polish! 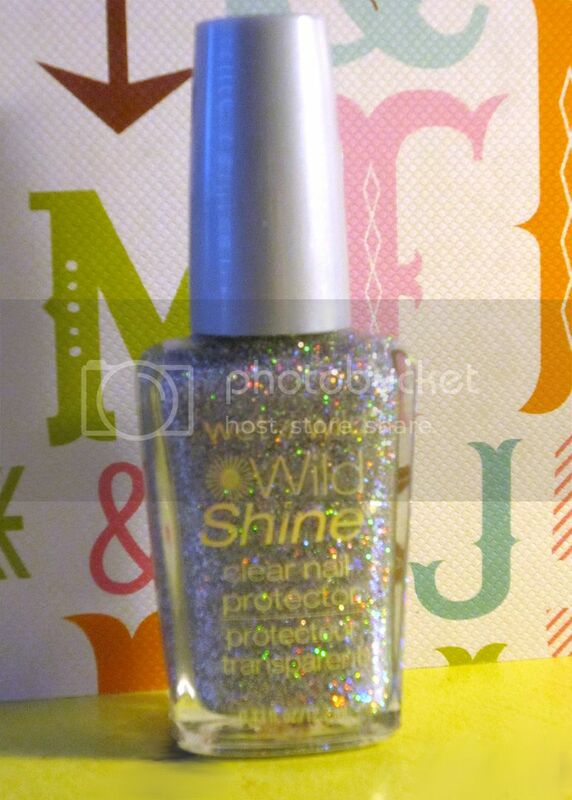 Just add a little of the glitter to the bottle of clear coat, then shake. 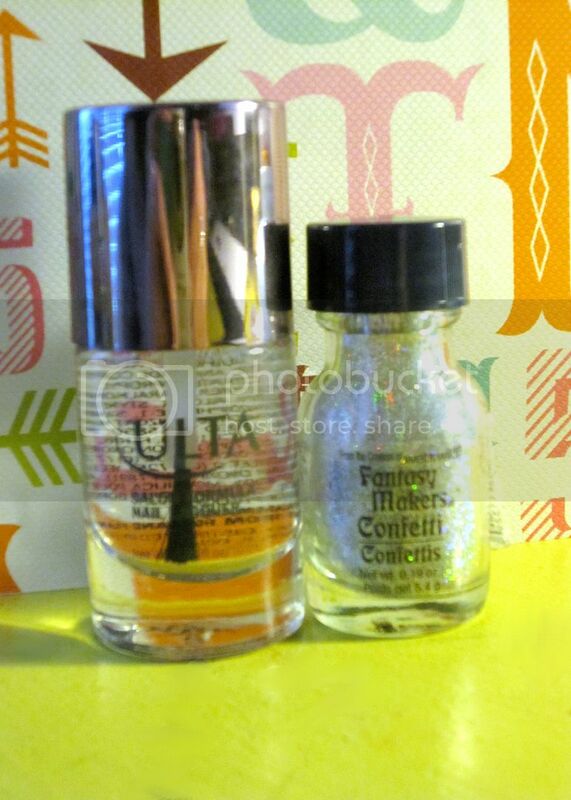 Repeat until you've used about a third of the glitter, more if you want more coverage in one coat. And a blurred photo so you can see the sparkles. It settles. Badly. But a good shake before each use and you're good to go. I'm definitely going to try this with more glitter colors! So tricky! Great solution for what you are longing for (white whale). It might be "simple", but it's also mighty clever! Good job, Mands!! where do you get that type of glitter? Hi, Anon. :) I bought it at Walgreens right around Halloween. However, I'm sure you can use super fine craft glitter, too!